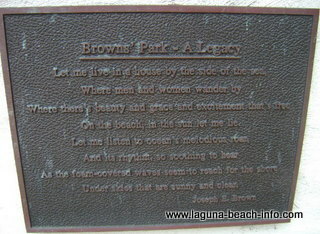 Brown's Park in Laguna Beach is one of the most unique parks that you may ever encounter. This wonderful little walkway can be found tucked between the Laguna Village Shops and the Wyland Gallery in the downtown area of North Laguna Beach. This peaceful little place is hidden right in plain sight, and many people walk right by this gem without even realizing it. 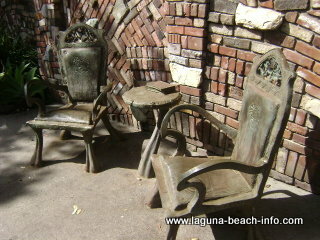 At the entrance to Brown's Park, you'll find a bronze sculpture of a table, two chairs, and a book. You'll find many sculptures as you explore Laguna Beach, but this is perhaps one of my favorites and it adds a level of calmness and serenity to Brown's Park! 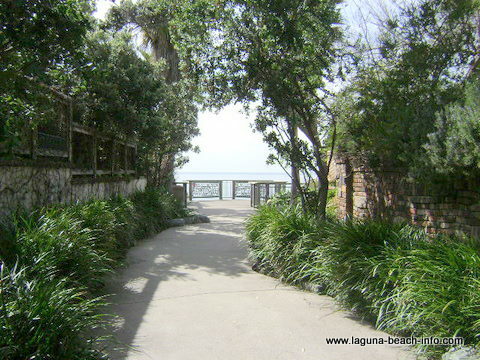 At the end of the walkway in Brown's Park, you'll reach an overlook with two stained glass fence rails. Embedded in each rail is the poem "In this fleeting moment..."
Along this little walk, you'll also find a poem written by Joe Brown's grandfather enscribed on a plaque. Under skies that are sunny and clear. 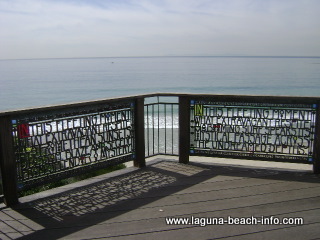 And as you stand on the wooden terrace at the end of the walk of Brown's Park, you'll not only enjoy poetry and stained glass- you'll also get to see a magnificent view of Main Beach in Laguna! Share Your Brown's Park Experience! Do you have a great story, experience, or photos from Brown's Park? 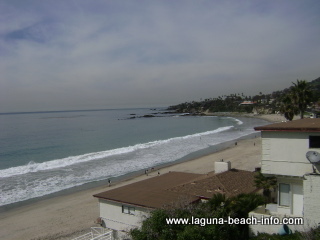 Share your stories and pictures from this unique Laguna Beach park!